Total Motor Power : 45kw Standard Value can be changed depending on Equipment. 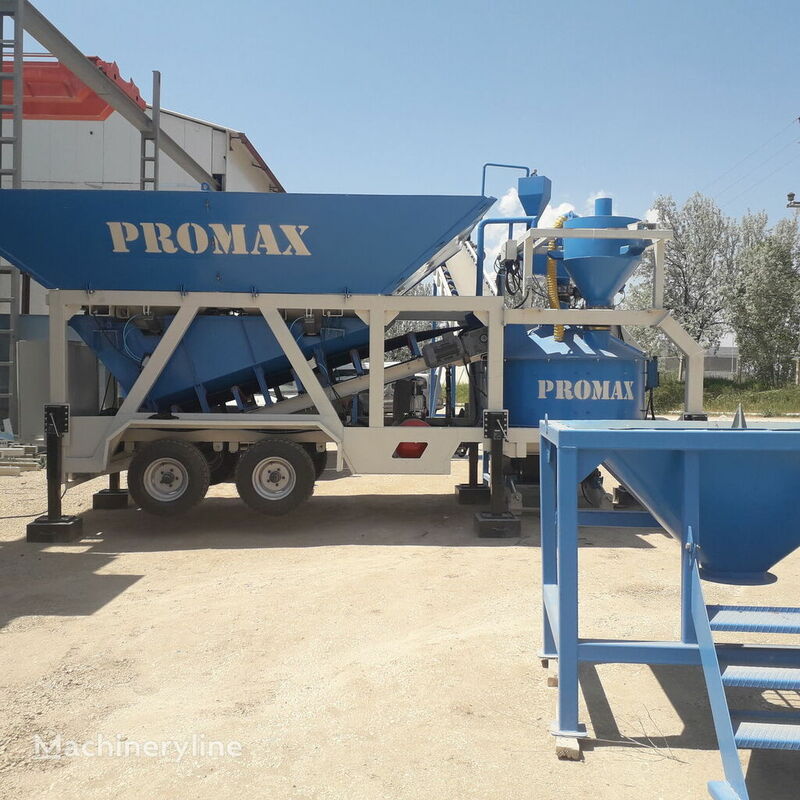 FULLY AUTOMATIC AND DRIVEN BY OUR BRAND OWN SOFTWARE “PROMAX” DESIGNED ESPECIALLY TO RUN OUR CONCRETE PLANT. 	It is very practical and flexible because you will not need any aggregate feeding system or a ramp; since the aggregate hopper is made in a way that you can load the aggregate directly with the Mini-Excavator. 	The installation and start-up of the plant will only take two hours. 	A very low transport cost : only one container. 	We offer a CEMENT EASY LOAD SYSTEM (for cement bags of 50 Kg), otherwise the CEMENT SILO is also offered as an option. 	Easy to move from one building site to another with a small standard truck. (No need for a special truck unlike other plants). 	Very high quality in accordance with high European Standards CE ; ISO 9001 ; GOST ; BURO VERITAS.. (Certifications). Aggregate Weighbridge / Cement Weighbridge / Water Weighbridge / Additives Weighbridge.